The development of colliders led to the discovery of a number of new particles, which was a great confirmation of the Standard Model (SM) of particle physics. The real SM triumph was the discovery of the Higgs boson in LHC experiments in CERN. However, despite the success of SM in high-energy physics, there is a series of questions and problems that can't be explained by it—for example, baryon asymmetry, the origin of the Higgs field, the production of the early quasars, etc. A theoretical direction, which is based on the idea of multidimensional gravity, is being developed at the MEPhI Department № 40 under the supervision of Professor S.G. Rubin. For the past several years, interesting results have been obtained on the basis of this research. 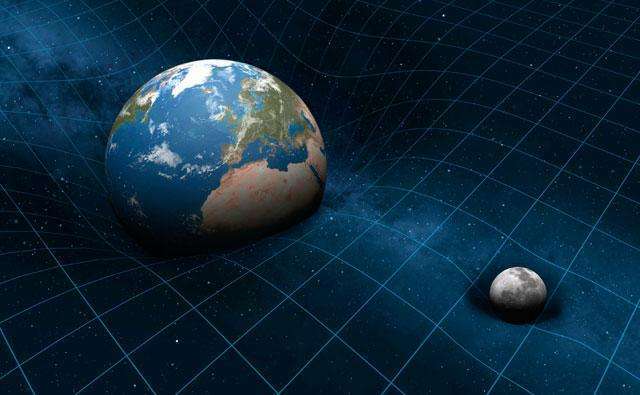 In a thesis by Alexey Grobov titled "Effects of extra spaces in particle physics and cosmology," multidimensional gravitational models contribute to better understanding of connections between astrophysics and microphysics phenomena. In his work, Alexey is looking at how extra spaces can act in the universe. "The universe can be represented as a multidimensional complex structure, and from the four-dimensional point of view, multidimensionality will expose itself in the existence of particles," said the scientist. The work is based on the fact that the universe has asymmetrical distorted extra spaces, which have evolved into a stable configuration. In the process of extra spaces' symmetrization, there appear gage symmetries, which explain the phenomenon of baryon asymmetries. The universe baryon asymmetry is the observable dominance of matter over antimatter in the visible part of the universe. It is supposed that baryon asymmetry can be connected with the presence of dark matter. The search for primary antimatter and matter is very important, because it is impossible to interpret some of the experiment results in a conventional way. "For example, a famous effect, discovered at the PAMELA detector, is interpreted as the existence of the dark matter, which annihilates with positron production. The detection of antinuclei in cosmic rays means the existence of primary antimatter, produced at the initial stage of the universal evolution." Symmetries are important in the physics of elementary particles. In multidimensional gravity, the symmetry of extra space leads to the observed symmetry in the Lagrange function and conservation laws (the Noether theorem). "It is known, for example, that symmetry of physical laws in relation to time transition means the equivalence of each moment of time, which leads to the energy conservation law. If we compare the radioactive decay at different moments of time under the same conditions, the physical law won't change. The symmetry in relation to the system shifts in space will mean the space homogeneity, which leads to the law of conservation of angular momentum. The scientists' task is the research of different symmetries." As the result of the work, it has been shown for the first time that the relaxation processes of the metrics of extra space with torus topology lead to the observable excess of baryons. "We have considered the processes of symmetrisation of extra initially non-symmetric space, and what it leads to. That way, a cosmological model was built, which describes the production of the universe baryon asymmetry, based on the evolution of extra space." In the centres of galaxies, there are supermassive black holes with millions and billions of solar masses. In astrophysics, there are mechanisms that explain the production of such holes. The data of the observations shows the existence of such massive and early black holes—their existence can't be explained in a standard way. An approach developed in the scientific group of Professor S.G. Rubin shows that the evolution of scalar fields at the inflation stage of the universe leads to the formation of primary black holes in a wide range of masses, which illustrates the process of re-ionization and early quasar formation. Again, Perlmutter did not discovery expansion to be accelerating. He looked at galaxies, checking distances with Supernova Ia maximum brightnesses. They found that, near the Milky Way, they followed the Hubble Constant. He says he measured a galaxy by its observed speed from the Doppler shift and it indicated a distance of five billion light years. But a Supernova Ia observed in it was dimmer at maximum which he claimed meant it was further away. And he said that meant the universe had accelerated its expansion five billion years ago. But, among other things, if it "accelerated", why was its velocity from the Doppler shift low? And, among other things, if the universe accelerated five billion years ago, that means it is expanding faster now. So why is the lower Hubble Constant applicable in the nearby neighborhood, meaning in the past few billion years?